There is freedom in trust. There is promise in the flow. In my book, Wading the Stream of Awareness, I illustrate flow as being present with life. Life is flowing, and it moves with or without our conscious presence. The promises made by the movement can only be caught by the conscious fisher. When trust begins internally, you are free to respond to what is authentically right. What is authentically right is very freeing. Trust that is built (earned) externally begins with the spark that is self-trust. This is the path of trust for the 21st Century leader. As you deliver trust in your leadership, you build your confidence to participate in the flow. While the flow continues with or without one’s participation, it can be trusted to lead to good things. You must be willing to enter the movement confident and positive. This entry was posted in Desire & Intent and tagged Authenticity, Flow, Purpose, Trust by Jeff Brunson. Bookmark the permalink. Love the imagery, Jeff. Life will go on with or without us, it’s up to us to build it within first, then deliver it to others…. 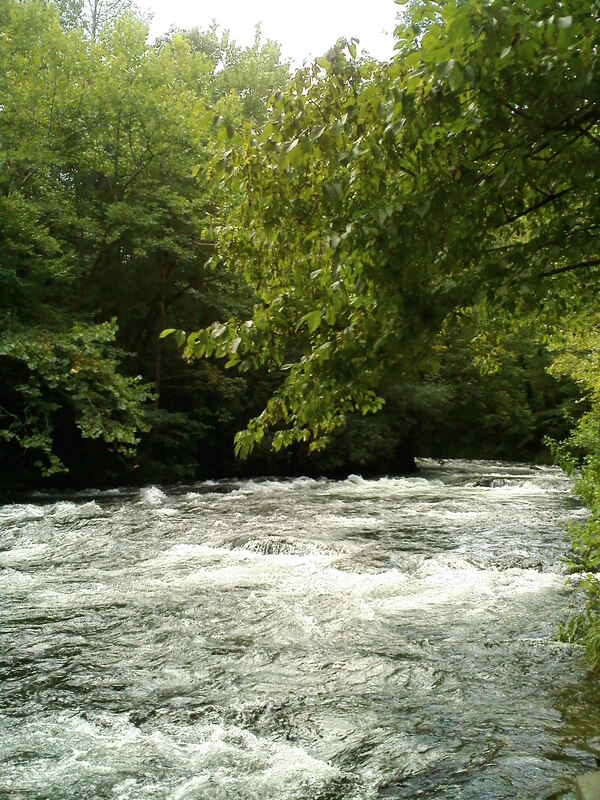 I love the imagery of the flow of the river and think it is the perfect metaphor for trusting yourself and the process. I remember a particularly significant canoe float I took down the Des Chutes River in Central Oregon–trusting the river would take us, and suspending the “doing” for awhile. Your post reminds me how important it is to be at one with our own flow. Staying in the current takes a bit of self effort and a bit of letting go. Sounds like balancing those polarities of holding on and letting go. This seems like quite a challenge for leaders, yes? It seems a challenge to know what to hold onto and what to let go of.